I am a huge fan of variety and seasonal eating, primary because eating a wider array of foods exposes your body to a broader spectrum of nutrients. Mixing it up means that rather than larger armies of fewer types of vitamins, minerals and antioxidants, a smaller number of a larger assortment shows up for work in your body. That’s important, because each nutrient performs unique functions. I am a huge fan of variety and seasonal eating, primary because eating a wider array of foods exposes your body to a broader spectrum of nutrients. Mixing it up means that rather than larger armies of fewer types of vitamins, minerals and antioxidants, a smaller number of a larger assortment shows up for work in your body. Thatâs important, because each nutrient performs unique functions. In other words, vitamin C canât carry out potassiumâs job, and the protection lycopene (an antioxidant found in tomatoes, watermelon, pink grapefruit) offers differs from that of anthocyanins (found in dark berries, black beans, and eggplant). Gobbling up different types of nutrients each day helps optimize wellness, and offers more head to toe protection against aging and disease. That said, there are some foods I consider daily must-eats (and nope, kale isnât one of them). Each makes my list because it meets two key criteria. First, it offers unique rewards. While I can mix up the type of green veggies or whole grains I eat each day and enjoy similar benefits, thereâs simply nothing else like dark chocolate! 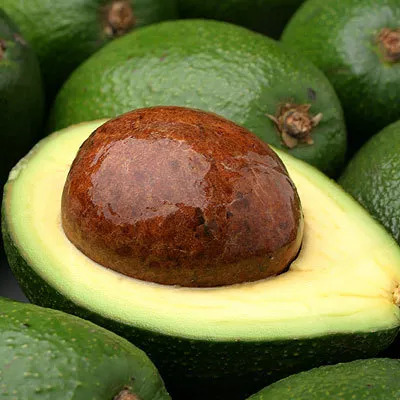 In addition to heart healthy fats called MUFAs (monounsaturated fatty acids), which have been shown to slash âbadâ LDL cholesterol and up âgoodâ HDL levels, avocados provide anti-aging, disease fighting antioxidants and nearly 20 different vitamins and minerals. A study out this year showed that avocado eaters have higher intakes of fiber, vitamins E & K, magnesium and potassium, and get this â they weigh less and have smaller waists without eating fewer calories! These creamy gems also help your body absorb more antioxidants from other healthy foods. In one Ohio State study, when men and women ate salads and salsa peppered with 2.5 tablespoons of avocado, they absorbed over seven times more alpha-carotene and thirteen times more beta-carotene, which defend against cancer and heart disease. I whip avocado into fruit smoothies, spread it on whole grain bread in place of butter, use it as the base for creamy salad dressings, and of course mash it into mouth wateringly delicious guacamole. You can to add avocado to countless savory or sweet dishes, from a breakfast omelet to chocolate mousse. I always keep a few on hand, and if you buy them under-ripe, toss them into a brown paper bag with an apple or banana â the gases released from the fruit will speed up the ripening process. Beans and lentils are phenomenal superfoods. Regular bean eaters have smaller waistlines, and a 22% lower risk of obesity, plus beans are nutritional powerhouses, packed with fiber, protein, vitamins, minerals, and antioxidant levels that rival some berries. In a Harvard study, which tracked over 90,000 women for eight years, those who ate beans or lentils two or more times per week had a 34% lower risk of developing breast cancer than women who ate them one or fewer times per month. And even small amounts of beansÂ - 1/2 cup a day - have been shown to lower cholesterol by 8%, an effect that slashes heart disease risk by 16%. Like avocado, beans and lentils can be incorporated into both sweet and savory dishes. Bean and lentil flours or pureed versions add a hearty texture to brownies and cupcakes; and itâs easy to swap meat for beans in a number of recipes, from tacos to pizza. I always keep vacuum sealed lentils in the fridge, so I can add a scoop to a salad for an instant protein option. Stubbing your toe is a classic example of inflammation. The throbbing pain is accompanied by swelling and an immune system response, which promotes healing. Thatâs good, but when chronic low grade inflammation occurs at the cellular level, it can wreak havoc with the body, leading to premature aging and diseases, including type 2 diabetes, heart disease, and Parkinsonâs. Ginger, a potent anti-inflammatory food may help quell the flames. In a study of over 250 people with osteoarthritis of the knee, those who received a ginger extract twice a day experienced less pain and needed fewer pain-killing meds compared to those who received a placebo. I add fresh grated ginger to hot tea, ice water, smoothies, salad dressing and sauces, and fold it into melted dark chocolate to drizzle over fruit. Itâs also my key ingredient in a simple stir fry sauce, combined with brown rice vinegar, fresh squeezed citrus juice, roasted garlic and crushed red pepper. When I travel, I pack dried ginger cubes, so I wonât miss out on its benefits. You may have heard about a recent study, which found that satiating almonds pack far fewer calories than the label states, due to the fact that not all of the fat is digested and absorbed. But thatâs not the only reason almonds are a weight loss ally. Their protein and fiber keep you fuller longer, and delay the return of hunger, and their good fats trigger the production of a substance in the GI tract that shuts off hunger. This may be why one remarkable study found that a low-calorie diet enriched with almonds (versus complex carbs) resulted in a greater loss of body fat and a 50 percent greater reduction in waist circumference. I love to whip almond butter into smoothies, slather it on whole grain bread or wedges of fresh fruit, and add sliced or slivered almonds to everything from parfaits to garden salads and stir frys. Almond flour is also one of my go-to ingredients for coating eggplant and baking cookies. In addition to in season fruits, from tangerines to pink grapefruit, I rely on fresh citrus juices and zest to spruce up ice water or season my meals. Just a single orange supplies 120 percent of the Daily Value for vitamin C, a fat-burning powerhouse linked to less body fat and smaller waist measurements. Citrus also provides naringenin, an antioxidant in the flavonoid family, which has been shown to prevent weight gain and ward off metabolic syndrome, a collection of conditions that can lead to type 2 diabetes and heart disease. In animal research, scientists have found that naringenin reprograms ratsâ livers to burn, rather than store, excess fat. And a Dutch study found that over a 14 year period, women who consumed more of the antioxidants found in citrus gained two times less weight than those with the lowest flavonoid intakes. Pretty potent stuff! In addition to snacking on fresh citrus fruits, I add wedges of lemon, lime and key lime to water and iced tea, fold zest into my homemade darkÂ chocolate truffles, and add splashes of citrus juice to salad dressing, stir frys and slaws. In my newest book S.A.S.S! Yourself Slim,Â I devoted an entire chapter to dark chocolate and made a âDaily Dark Chocolate Escapeâ a mandatory treat. While it may seem counterintuitive, enjoying dark chocolate every day is a smart weight loss strategy, because itâs been shown to curb cravings for both sweet and salty foods. Itâs also remarkably good for your health (check out my list of chocolateâs top 10 health benefits, from protecting your heart to boosting brain activity). Best of all, indulging in chocolate enhances mood, creating the same sense of euphoria you experience when youâre in love! I keep individually wrapped dark chocolate (70% cocoa or greater) tasting squares on hand, and pack them when I travel. But I also incorporate chocolate into meals, by folding it to oatmeal, whipping it into smoothiesÂ , drizzling it over popcorn, using as a dip for fresh fruit, and experimenting with adding it to savory dishes, such as vegetarian chili.